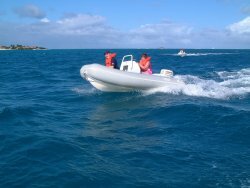 Reef Rider Boat and Snorkel Tours offers special excursions either to view the bays and reefs of the west coast, or to experience one of the best snorkel spots in Antigua. Tours vary in length and larger groups of 6 or more can be custom designed. Experience Antigua from a unique point of view. Local Antiguan, Eli Fuller will show you the "other side" of Antigua. Growing up spending most of his time on the water, Eli wants to make sure that even if you have been to Antigua on 10 other holidays, your day out with him will leave you with a new picture of Antigua. This tour has been spoken about on all of the cruise and travel forums as well as in countless guides and periodicals. See why Islands Magazine, The Rough Guide, The Guardian, The BBC and many others stress that his tour shouldn't be missed while on Antigua. 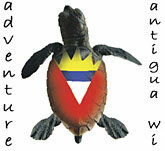 Windsurf Antigua is located at Dutchman's Bay - best location, superb climate and ideal wind conditions. We have good equipment and also specialise in teaching beginners. 1. Fairly easy all one has to do is obtain a membership form, fill it out, return form and pay monies then will be given a laminated membership card. - once you own a property in Jolly Harbour fees are discounted. 3. Green Fee prices are already included in the membership fees, if a member does not have their own carts and clubs they can be rented at a special membership rate. Sportfishing, bonefish in Barbuda's Codrington Lagoon, hunting of deer, boar, various gamefowl on Barbuda. Licenses and gun permits must be obtained in Codrington Village. The Antigua and Barbuda Annual Sport Fishing Tournament is held in May of each year. There are several stables in Antigua. Arrangements for riding can be made through your hotel. Offers Mountain Bikes for short or mid-term rentals and the sale of bicycle parts and accessories. A unique Eco experience in one of the best unspoiled coastal areas in the Caribbean. Experienced guides will ensure you enjoy a half day of kayaking, snorkeling, power, boating and hiking adventure on the beautiful east coast of Antigua. Paddle tranquil lagoons, uninhabited islands and protected mangroves and snorkel and hike at Bird Island, a 20 acre 'jewel in the ocean' that has white beaches, live reef and rare wildlife. From the cruiseship pier you will take a short, airconditioned bus ride through the scenic interior of Antigua to the quaint fishing village of Seatons. Here you will be greeted by the the professional staff at the Stingray City Dive shop who will give you a briefing on the equipment and give you safety tips for a fun interaction with the Rays. The Dive shop has Change Room, Restroom and Locker facilities for your convenience. All snorkel equipment is provided. From Seatons you will be transported by boat, winding your way through the mangrove lined islands of the North Sound. This all too short picturesque trip abounding with birdlife and sealife ends at Barge reef, the home of Stingray City Antiugua. Protected by the fringing reef, the calm crystal clear waters are the home to many Southern Stingrays. 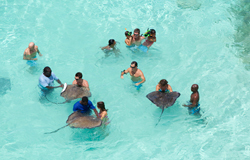 Here you will be assisted and supervised by the professional dive staff into the stingray habitat where you will be able to play with, pet and perhaps even feed one of the tame stingrays. Entry into the 3-8 feet deep water is an easy step from the large swim platform. Even non-swimmers can enjoy the rays. Thesed amazing animals will surprise you with their gentlness and with the informative briefing you receive these once feared "beasts" will find a special new place in your heart and provide you with an unforgettable memory. 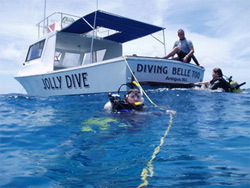 This amazing experience is enhanced by the unbeatable scenery and the pristine coral reef surrounding the area. After aprox. one hour you will be travel back the dive shop where you will be able to rinse of in the fresh water showers, view the photographs taken by the professional photographer and even purchase some of the local arts and crafts available, while you enjoy a refreshing drink. The short ride back to the cruiseship pier brings an end to this once in a lifetime trip. Antigua certainly does have the Brightest Rays in the Caribbean! Tropical Adventures offers a wide range of excursions and incentive programs including Airport Transfers, Off Road Jeep Safaris, Historical Tours, Five Star Catamaran Lunch, Snorkeling, Kayaking, Lobster Lunch Tours, Pirate Ship Adventures, VIP tours and much more. Our wide choice of tours enables us to customize excursions to meet and exceed your clients expectations. Tropical Adventures believes in protecting our environment and cultural heritage with out which our tours could not operate. Our professional and enthusiastic staff is committed to service excellence and safety. Day Cruises: Kokomo Cat Cruises Ltd. Even the most devout landlubber will enjoy sailing aboard the newest, fastest, and safest catamaran in the Caribbean. Our friendly, professional crew know exactly what it takes to give you a good time! Thirst quenching drinks, delicious food and calypso rhythms turn an exhilarating sailing experience into the ride of your life! Our three boats offer an unrivalled quality and variety of cruises at unbeaten prices. 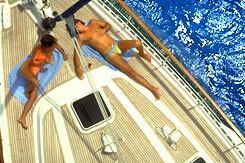 We also do private charters. bookings@island-speedboats.com for our 'fastrak' booking service where we will try to respond to your mail within a few hours. - Full and half-day sailing cruises along the Caribbean coastline visiting deserted beaches, shell collecting, snorkeling, or just sitting back in the spacious covered cockpit over a gourmet lunch and a glass of wine. - Champagne sunset cruises from The premier Curtain Bluff Resort or Historic Nelson's Dockyard, English Harbor. - "private romantic" get-a-way's... wear (or not) what you want and we'll take you to that deserted bay and beach. - Birthdays, Anniversaries and special events are our specialty. Families with kids are very welcome aboard... the kids love it! We even do special meals for them. - Sailing lessons for the whole family and week-long sailing charters to other Islands can be arranged. Horizon Yacht Charters, based in Jolly Harbour Marina on the leeward coast of Antigua, is an established, owner-operated charter business. With a small fleet of carefully maintained yachts - ranging in size from 36 to 50 feet - both mono hull and catamaran , we offer a high level of customer service to each of our guests. Whether you're a sailing enthusiast, or simply looking to sit back, relax and enjoy a Skippered charter, we can tailor the perfect vacation, just for you. On our tours you can see just about all of Antigua's coastline from deserted offshore islands to the downtown cruise-ship port and from busy Dickenson Bay to pristine and rugged Half-moon Bay. Visit Monserrat and get closer to an active volcano than is possible any other way, then see the charred remains of its now deserted capital city. If you want something special, allow us to suggest some custom tour options for you. Whatever you choose, you wont forget your tour with us! No visit to Antigua can be considered complete without an ESTATE SAFARI TOUR or CLASSIC JEEP TOUR around the Island. Make Advance Booking online now!! Lobster, fish, conch, chicken, rice, salad and a variety of snacks. Open bar with alcoholic and non-alcoholic beverages. Snorkeling equipment and professional instructions. Private excursions can be arranged. 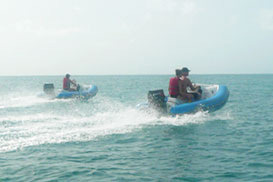 A complete water sports facility, established since 1980. Located at Dickenson Bay, activities include jet skiing, waterskiing, parasailing, kayaking, hobie and sunfish sailing, windsurfing and tubing. Also available are sun beds with umbrellas, a beach bar with cold drinks and snacks, fresh water facilities. A calm bay ideal for families with children. Custom tailored snorkeling trips to many of our beautiful reefs on Tashi, a 41 Ft. rib design boat. The Antigua Scuba Center is friendly little dive center operating out of English Harbour on the beautiful south coast of Antigua. Antigua's south coast is quite rugged: rocky cliffs plunge straight down into the ocean and that means..GREAT DIVING with drop offs and mini walls galore (click "Dive Sites" for more info). The favourable underwater landscape is only the beginning: The coral encrusted walls and jumbles of boulders you will see create a myriad of hiding places for all types of Caribbean reef fish which congregate in numbers! Larger marine life such as turtles, stingrays, barracuda, jacks, permit, nurse sharks and morays are regularly seen here. South Antigua's abundant marine life is truly one of the diving world's little surprises. the prices much more reasonable than you might think. Antigua sport fishing experience with "Overdraft" deep sea fishing charter. On your Antigua vacation you too can experience the excitement of fishing Marlin, Tuna, King fish, Dolphin (fish), Wahoo, Shark or Barracuda, in the Atlantic waters of Antigua with "Overdraft" deep sea fishing charter. Enjoy fishing with Captain Mike who has been deep sea fishing here in Antigua since he was a child. Mike's 31 foot Bertram has been lucky recently with catches of large wahoo, marlin and tuna. Mike operates from Jolly Harbour. All drinks and tackle are included. There is a max of 6 guests per charter. 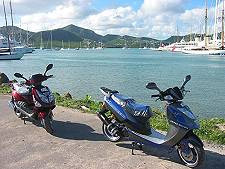 If you want an easy, fun and cheap way to discover Antigua then Cheke's Scooter Rentals is the solution for you. Daily rates include: 2 Helmets, Instruction, 24 hours of Rental Time and Maps. For your convenience Scooters can be delivered island wide to your hotel, villa or apartment & we also hire cars at very competitive rates. All drivers must be over 18 years old and have a valid Driving Licence. We can supply a temporary Antiguan Driving Licence at additional cost of US$20.VISA, Master Card, Travellers Cheques and Cash Accepted. To book your Antigua Scooter Rental contact Cheke's immediately! We have a choice of four types of scooters ranging from 50-150cc. The Weekly rate is US$225. Cheke's also provides a special offer to Cruise Ship Passengers of only US$55 for the day. Insurance is optional and costs an additional US$10. Quad bikes are another exciting way of exploring Antigua both on and off road. Quads range from 200 to 400cc. These are available at US$45 per day and we also have a Cruise Ship Special at US$65 where we deliver the quad bikes direct to the cruise dock at no extra cost. To book your Antigua Scooter, Quad Bike or Car Rental contact Cheke's immediately! 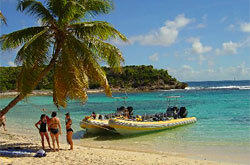 Miramar Sailing provides fun and relaxing day and term sailing charters from the beautiful Caribbean island of Antigua. Aboard our 40ft Beneteau Oceanis 400, we will ensure that your cruise is a holiday experience to remember. The Antigua Rainforest Canopy Tour is a unique eco-tour through Antigua's lush rainforest where you embark on an unforgettable 21-element journey through the verdant forest, high above the trees. Sunsail is delighted to announce that we are again offering vacations at Colonna Resort, Antigua, offering a full Sunsail beach, delivering outstanding sailing instruction. Children of all ages are welcome and will have a great time on and off the water! For those aged 8 - 17 our dedicated Youth Sailing Club offers a structured combination of sailing and fun. The hotel can also arrange a nanny or local baby sitters, should you so wish. Located on the northern tip of Antigua in HodgesBay, Colonna Resort is perfectly placed to enjoy all that the Caribbean has to offer and promises the best dinghy sailing and windsurfing in the Caribbean. This stunning tropical resort offers a palm lined beach, wildlife, friendly people and great year round sailing on crystal clear waters in balmy trade winds. Colonna’s Italian style red roofed buildings, terracotta walkways and tropical gardens, make an attractive backdrop for the pool, beaches and bay. You can dine alfresco in the open-air restaurant overlooking the beach, and out on the spit at our traditional Caribbean bar (De Rum Shack) for delicious rum punch and cocktails. Sunsail’s yacht charter base is located in EnglishHarbor, Antigua at Nelson's Dockyard. Built by the famous Admiral Lord Nelson this is an ideal starting point for exploring the coastline and some of Antigua’s lovely beaches. This historic area is now known as much for its lively pubs and restaurants as its fascinating history. And nearby ShirleyHeights is popular for its famous “Jump Up” BBQs and punch parties with dancing and live music. Nicholson's has been in the business of chartering yachts since 1949 when Commander Nicholson sailed into English Harbour and founded Yacht Chartering in the Caribbean. We specialize in luxury sailing and power yacht charter vacations, ideal for families, friends, couples, honeymoons and reunions. A private yacht charter is one of the most unique vacation experiences imaginable and offers the freedom no other cruising vacation can. It is the perfect way to explore Antigua & Barbuda and the Caribbean chain of islands, as the Caribbean offers some of the best blue water cruising in the world.